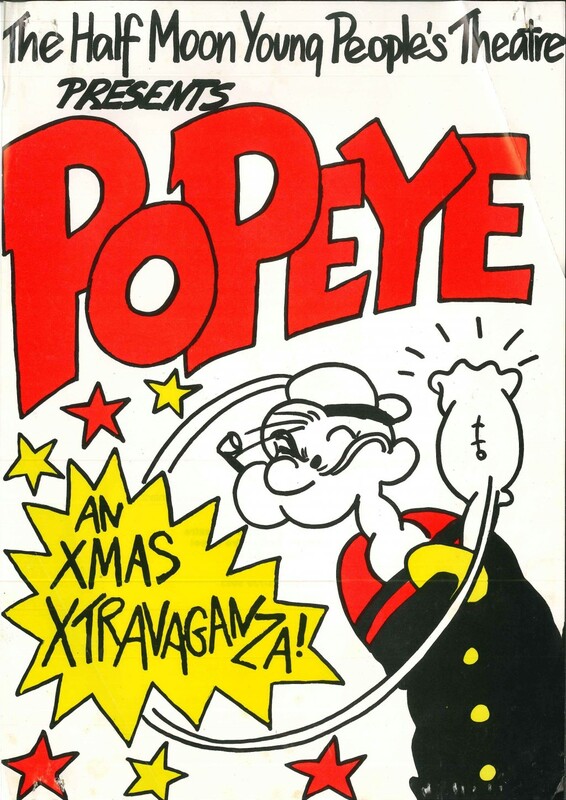 The Christmas Extravaganza for 1982 was based on the adventures of that well-loved cartoon hero Popeye, the sailor man, his willowy girlfriend Olive Oyl, his rival Brutus and his arch enemy Sea Hag. 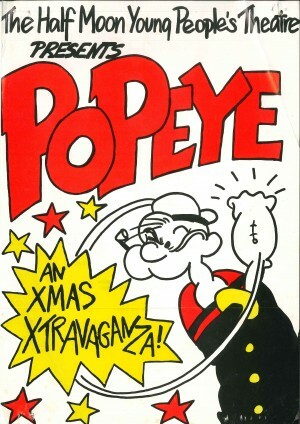 Adventure, songs and spinach abound as Popeye careers through an action-packed story. Ruth Sheen was an actor who performed at Half Moon Theatre on Mile End Road in the early 1980s and then joined the young people’s theatre company. She talks about converting children into hamburgers during the production, Popeye. 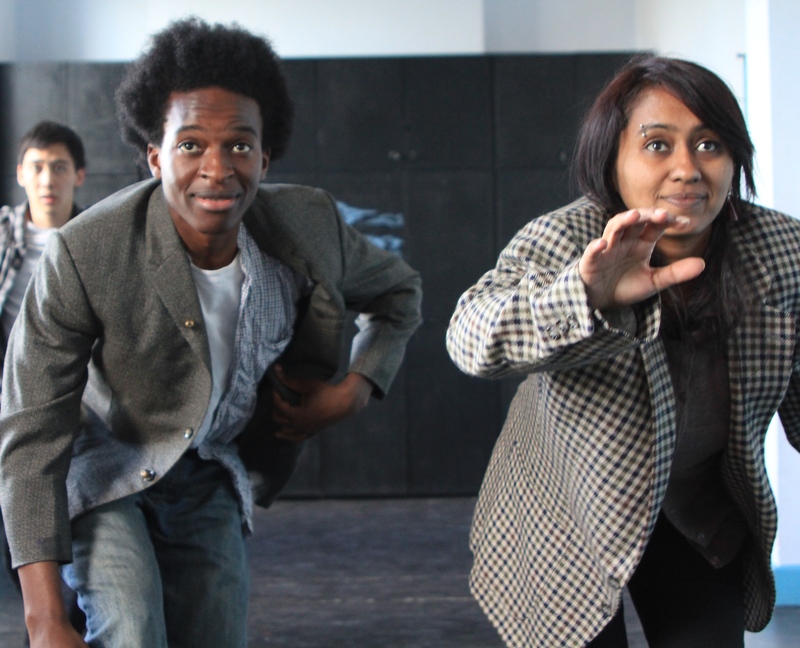 Interviewed by Khalilah Lubega. 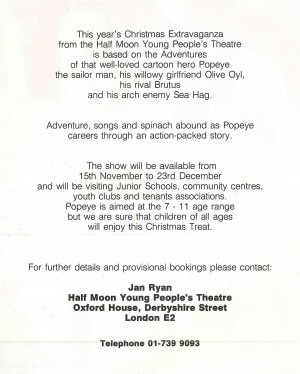 The Popeye show which visited schools was a bit of slapstick fun which I think was based around Steve Byrne actually looking and sounding like Robin Williams’ ‘Popeye’ in the film! Ruth Sheen of Mike Leigh fame had a spitting resemblance to Shelley Duvall. She played Olive Oyl. 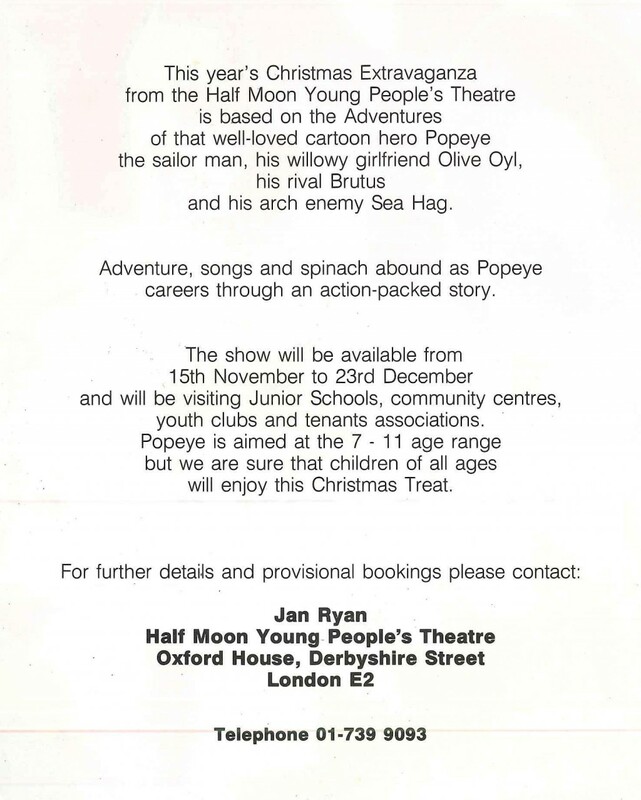 Andy Alty played Bluto and Janine Sharp was also in it (ex-Playaway on TV, and now Artistic Director at Hay Theatre in Hay-on-Wye). You can read more memories from Mark here.